Im Rahmen des BürgerForums findet als 2. Phase der Beteiligung eine Onlinewerkstatt mit unbegrenzter Teilnehmerzahl vom 11. Oktober bis 7. November 2014 statt. In dieser Phase werden die Ideen der Auftaktwerkstatt weiter entwickelt. Eine Anmeldung ist erforderlich. Detaillierte Informationen zur Onlinewerkstatt erhalten Sie unter www.karlsruhe.buergerforum2014.de. 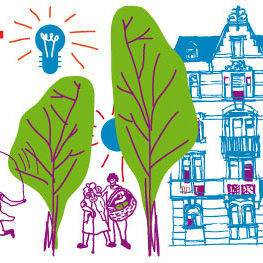 District Future – Urban Lab hosts the fourth ReparaturCafé in Karlsruhe in cooperation with several partners. Bring your damaged computer, toaster, favourite jumper in order to repair it with the help of others. The event is free of charge. Your donation is welcome! 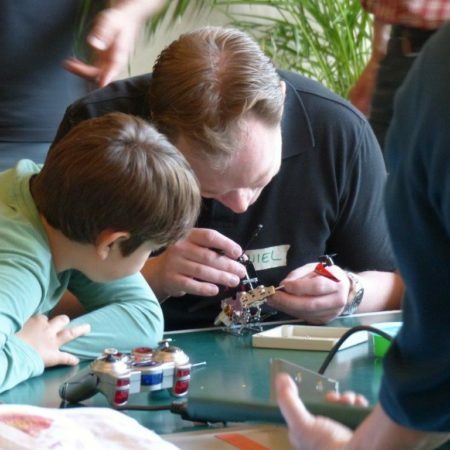 The event takes place at the Kinder- und Jugendhaus Oststadt in Karlsruhe's Oststadt. 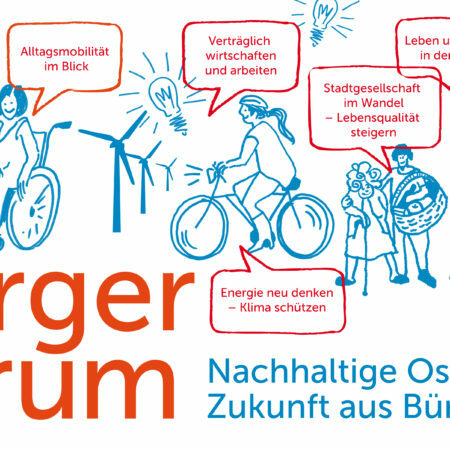 The BürgerForum Sustainable Oststadt | Future in citizens’ hands will start on 11 October. You are cordially invited to participate. Detailled information is available in the website news as well as on the BürgerForum's online plattform www.buergerforum.karlsruhe2014.de (german only). District Future's regular's table is an open meeting point for information, networking and exchange for those interested in the District Future project. The regular's table takes place every two months. No prior registration is needed. 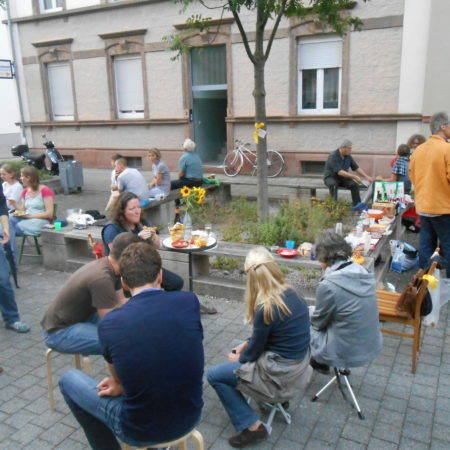 On September 24th 2014 the District Future's regular's table takes place as an open air event. Bring a chair, food and drinks in order to have a picknick! The District Future project is going to present itself at the 5th street festival Oststadt. Learn about the project's concept and objectives, the timeline of development and future steps. There is an overview map where you can identify specific site of the District Future. (Please note, the District Future is marked as "KIT" on the map). Search for the red umbrella in order to find the District Future Mobile. 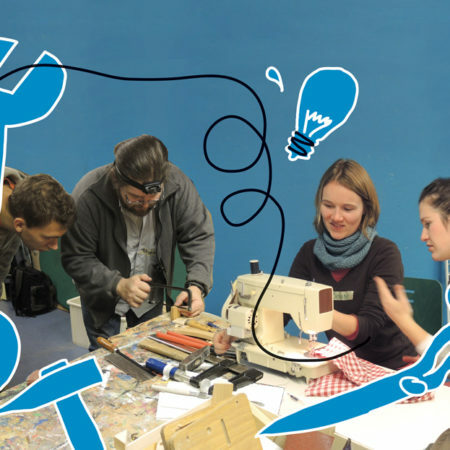 District Future – Urban Lab hosts the third RepairCafé in Karlsruhe in cooperation with several partners. Bring your damaged computer, toaster, favourite jumper in order to repair it with the help of others. The event is free of charge. Your donation is welcome! This time, the event takes place at Jubez, Karlsruhe city center. What might a future urban mobility look like that is designed with the need od people in mind? How do individualised lifestyles in our cities in general and in Karlsruhe in particular influence future urban mobility? What role is played by the car, bicycles, public transport and walking? Which chances and risks are connected to e-mobility? What can we learn from the past? These as well as further questions will be dealt with at the Interactive Dialogue | Future Urban Mobility. This evening, we will exchange perspectives and visions in terms of a future urban mobility with experts and committed persons - from a personal and professional point of view. Team member Alexandra Quint presents the District Future project at the poster session of the international conference "Urban Regions Under Change: towards as social-ecological resilience" in Hamburg, Germany. 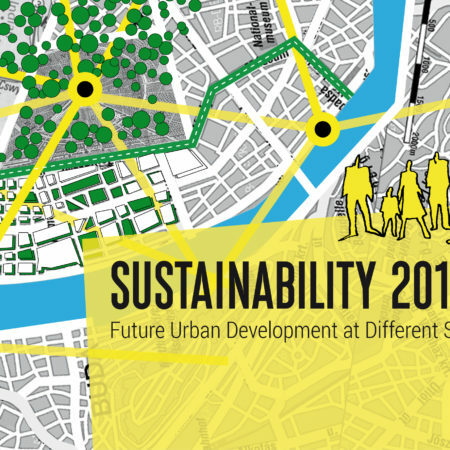 In cooperation with the transatlantic research initiative “Forum on Sustainable Technological Development in a Globalizing World” and the KIT Humans and Technology Center District Future – Urban Lab hosts the international conference Sustainability 2014: Future Urban Development at Different Scales. The conference will takte place on May 6th to 9th 2014. Registration will be open until April 21th 2014. For further information see the conference announcement. District Future – Urban Lab hosts the second ReparaturCafé in Karlsruhe in cooperation with several partners. Bring your damaged computer, toaster, favourite jumper in order to repair it with the help of others. The event is free of charge. Your donation is welcome! 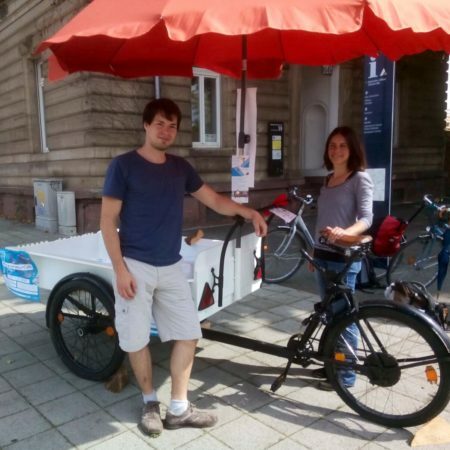 The event takes place at the Kinder- und Jugendhaus Oststadt in Karlsruhe's Oststadt. This evening, we will exchange perspectives and visions in terms of a future urban mobility with experts and committed persons - from a personal and professional point of view. 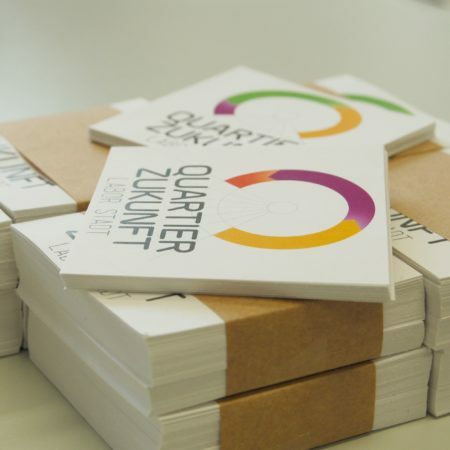 With the citizen meeting "Perspektive Oststadt - Quartier Zukunft gestalten" the project team starts the dialogue about the sustainable urban development of the project area Oststadt in Karlsruhe at a larger scale. The citizen meeting takes place on Feburary 09 2014 between 01.00 and 07.00 pm in the building of the BVG Versicherung. You are cordially invited! The citizen meeting ist the centrepiece of a series of events to mark the start of the District Future project in the project area. The event is free of charge and open to all without any need to register. 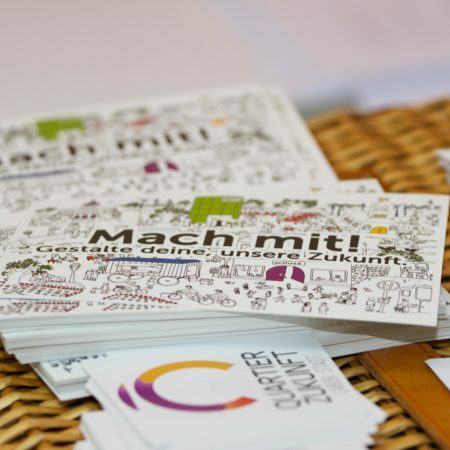 With the citizen meeting "Perspektive Oststadt - Quartier Zukunft gestalten" the project team starts the dialogue about the sustainable urban development of the project area Oststadt in Karlsruhe at a larger scale. 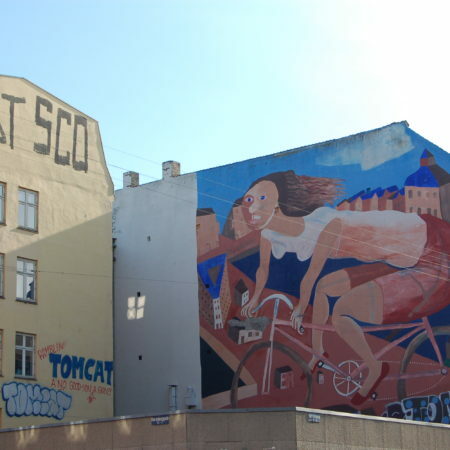 The citizen meeting takes place on Feburary 09 2014 between 01.00 and 07.00 pm in the building of the BVG insurance. You are cordially invited! The citizen meeting is the centrepiece of a series of events to mark the start of the District Future project in the project area. The event is free of charge and open to all without any need to register. Oliver Parodi and Alexandra Quint have a talk on "District Future - Urban Lab": Transformation of a built-up urban area". The conference language is German. Oliver Parodi and Alexandra Quint have a talk on "District Future - Urban Lab": Transformation of a built-up urban area". The talk takes place at "FS 34: Geography of Sustainability Transition", headed by Daniel J. Lang (Leuphana University Lueneburg) and Anne von Streit (LMU Munich). The conference language is German.